It's important to recognise the importance of maintaining your lifestyle and wellbeing. Lily has many listings for Things To Do and getting Out and About, whether you're looking to socialise, learn or take up a new hobby these categories are a perfect way to maintain a varied and fulfilling lifestyle in west Norfolk! The NHS host a website known as Heron, Heron is a gateway to local health information in Norfolk and Waveney, to search the site, click here. 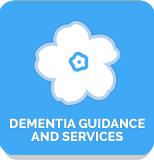 Lily details local services and charities specialising in Dementia, to view the listings on the Lily directory click here. You may also find it useful to get in touch with the Alzheimer's Society, click here to view their listing on Lily. If you or someone you know is worried about becoming increasingly forgetful you should talk to your doctor about the possibility of dementia. The NHS Choices website offers information for people with dementia and their families and friends. It aims to raise awareness of dementia, as well as help people create networks and better understand the impact of the condition. There are also links to lots of information on dementia and sources of local and national support. The site also answers many frequently asked questions. Dementia Friends is a national initiative that is being run by the Alzheimer's Society. It's funded by the government, and aims to improve people's understanding of dementia and its effects. Alzheimer's Society is working with lots of volunteers and other organisations to achieve this goal. Click here to view the Dementia Friends' listing on LILY. The Alzheimer's Society has dedicated pages for training and resources, including a range of public access courses for individuals. Carewatch have put together a dementia toolkit to help those caring for relatives or friends with dementia, the toolkit includes simple facts, tips, memory prompts and details of organisations where you can find additional help. Contented Dementia Trust, formerly known as SPECAL, is an independent charitable organisation with an innovative approach to the care of people with dementia. This charity offers information courses and training to anyone involved in supporting someone with dementia. If you are looking after someone, you will find it useful to view the carers category on LILY. On the homepage there is a dedicated section called Looking After Someone. The carers category details information to support you to care for someone, and listings to support carers themselves. NHS Choices have a range of Dementia Videos relating to caring for someone with Dementia, the videos share real life experiences, offer tips and offer advice on a range of issues ranging from telling other people, to looking after your own wellbeing. The Borough Council of Kings Lynn and West Norfolk operate a Home Improvement Agency (HIA). Their aim is to enable older, disabled and vulnerable people to live independently in their own homes in a healthy, safe and secure environment for as long as possible. Careline Community Service – Offering a range of equipment and interventions, led by senior officers who are Dementia Care Coaches. The visiting officers are Trusted Assessors (via the Disabled Living Foundation) and are trained in the principles of dementia friendly environments. They offer free dementia friendly home assessments for those diagnosed within the early stages of dementia, in addition to the standard range of services which include community alarms, handyperson service, safety and security works, energy efficiency works and falls prevention. Care and Repair – This team incorporates the Integrated Housing Adaptions Team, which includes technical officers, client officers, an occupational therapist and assistant practitioner. With a wealth of knowledge and expertise, we facilitate the delivery of Disabled Facilities Grants and other funding, to enable home adaptations such as stair lifts, level access showers, ramps and door widening. They can also assess for a range of equipment, based on the outcome of a triage and assessment process. They are able to complete applications, offer advice on repairs and improvements and monitor and supervise contractors, providing a holistic and person centred service. The teams have access to a range of mandatory and discretionary grants to support the works provided. All Care and Repair staff are Dementia Friends. NHS Choices provides some useful information on how home environments can be adapted or improved to support people living with Dementia. It can be complicated to understand who's who, and familiarise yourself with common acronyms used within the National Health Service (NHS) and the associated organisations and providers that work closely together to serve our nations health needs. Memory Clinic - People with symptoms of Dementia are often given a Mini Mental State Examination (MMSE), often when patients are advised to take the test, it is referred to as taking place at a "memory clinic". Dementia Intensive Support Team (DIST) - The West Norfolk DIST Team offer support if you are an adult experiencing memory problems or with severe mental health problems and complex physical frailties in need of assessment and support in the community. Admiral Nurses - Specialist dementia nurses who give much-needed practical and emotional support to family carers, as well as the person with dementia. You may find it useful to look at the Health Service - Who's Who & Glossary page on Lily which has been designed to provide you with a brief overview of parts of the health service and offer links to more detailed information, websites and advice associated with the health service. The government has designed a series of fact sheets about the Care Act 2014 to assist you with understanding about this legislation. The factsheets provide you with an overview of the Care Act and the duties and powers of local authorities under the Act.